Located in the beautiful Lake District we are surrounded by a number of breath – taking walks for you to explore. Take a morning stroll to Red Bank from White Moss near Ambleside. 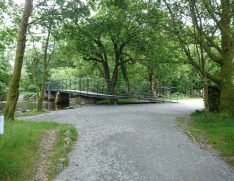 The walk takes you along Loughrigg Terrace and through the beautiful woodland of Red Bank. On return come across the calm waters of Grasmere and Grasmere Lake. Grasmere is one of the most popular villages in the lakes and is home to lake poet William Wordsworth. Loughrigg Terrace is located between Grasmere and Rydal and is known for its stunning views of bluebells between spring and summer. 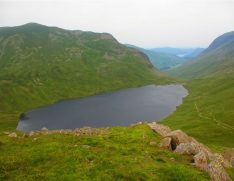 Here in the lakes we are surrounded by some breath - taking walks for you to explore such as Grisedale Tarn. Grisedale Tarn sits high in the mountains at the head of three valleys. Surrounding the tarn is the great Helvellyn ridge, Dollywaggon Pike to the north and the bulks of Fairfield and Seat Sandal to the south. Dollywaggon Pike stands on the main pike of the Helvellyn range in the Eastern Fells between Thirlmere and Ullswater. The best place to start this walk is the other side of Dummail Rise. According to its history and legend a great battle was fought in 945AD between the Saxon King and Celtic King Dummail. Dummail was killed and his crown taken up the steep path alongside Grisedale Beck and cast into the tarn. This then fell into the Saxons hands where it was never to be seen again. It was said the crown was enchanted and gave the wearer a right to the Kingdom of Cumberland.